Damn!!!! When my family and I entered the place, we knew we were in for a treat!!!! After getting our keys, we went to our room. Once we entered, we saw the elevated floor. According to our guide, this floor is heated. As such, we are not to wear shoes on it. Think cold and warm feet = happy person. The beds were soft and the room was sort of complete with anything one would need to survive. It has an induction cooker, microwaves, utensils, plates, rice cooker, and did I mention the TV? 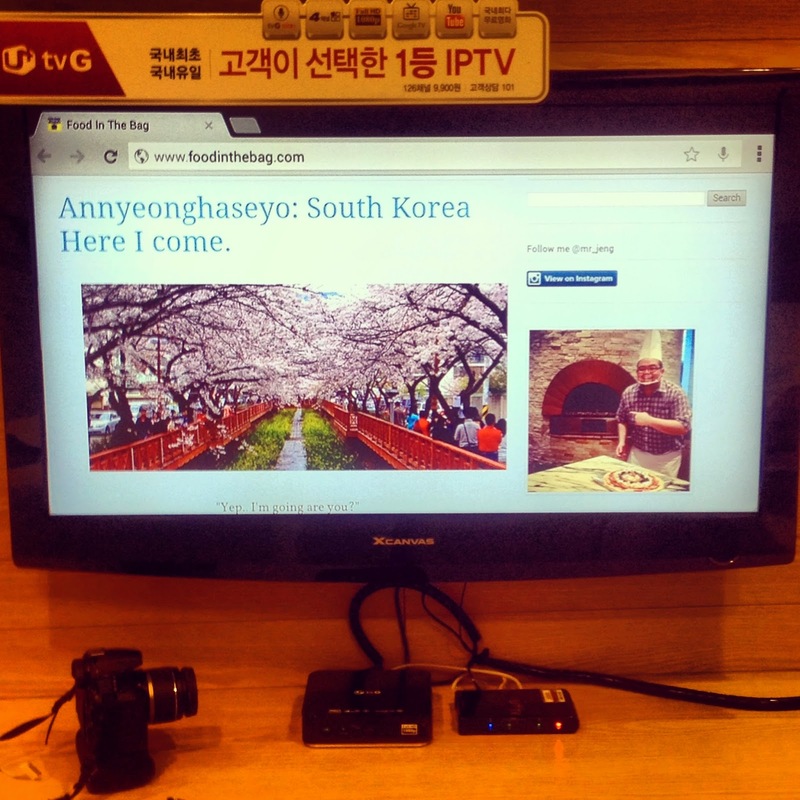 Since they have free and fast internet wifi, they made great use of their Smart Internet TV. As such, I was able to surf using the TV. The washroom was also properly planned and bright. Yeps, I am wearing thermals because it was freaking cold even in the room. They got their own toiletries. The rain head shower along with a hand held one. Plus, I love the gels and the shampoo they provided. The best part of it all? The toilet. Why? Because it has an automatic bidet and the freaking seat is heated.. Since I had time and wasn't sleepy yet, I went around the huge place. The front part of the hotel. They have an awesome bridge way that is romantically lit up at night. The path goes to a sort of compound which houses the ski lounge, restaurants, spa, and other stores. The following morning, I was able to see the mountain side where one could ski. Sadly, no more snow. Even if it wasn't snowing, it was still freakingly cold!! One awesome picture perfect place was the waterfalls. I think it was man made but whatever, it was pretty awesome. 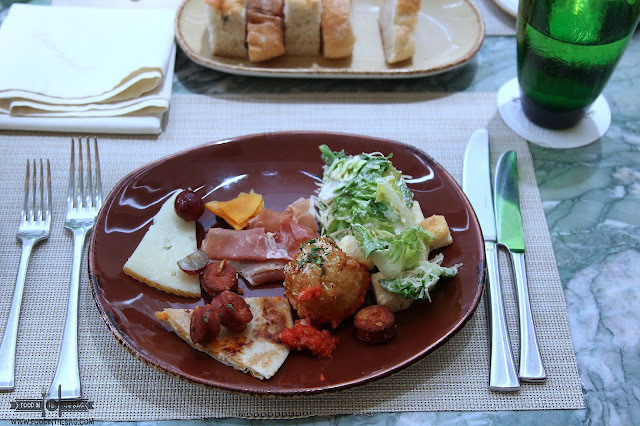 For breakfast, we went on over to Mirasia. It was their breakfast buffet place. They had fresh fruits, cakes and desserts to great you when you enter. Of course, coffee, tea and some juices. Different breads were lined up along with their hot dishes. I was pretty happy with the breakfast they serve. I enjoyed my stay here as I was able to see an awesome side to a hideaway resort. It would have been awesome to stay here during winter and when there is snow but it would been definitely cold. Nyahahaha! I liked how Korean Hotels tend to have convenience store around like this one. Although, this resort actually upgraded theirs to a grocery. Anyway, just to keep you informed, don't get surprised when you see a lot of LG stuff. Its because they own this Ski and Golf Course Resort (I didn't actually see the golf course but it was on their master plan so I am just unsure if its already ready to use or what not.). It would be lovely to stay here but be reminded that its a bit off going here. It is not really in Seoul and from what I gathered, it takes almost 2 hours just to get here. Tip: During winter, be careful, as the roads might be closed and it might be a hassle just going here. Definitely enjoyed my relaxing COLD stay. Disclaimer: Went here as part of a tour we paid for. I wasn't asked to write this. This post is based on my experience.